The trailer looks COOL. Is Alhambra ONLY going to be on Netflix? Or will other sources (Viki, Kocowa) carry it as well? One more week left until the premiere of tvN's mysterious suspense romance drama, 'Memories of the Alhambra'! The series' latest preview captures business company CEO Yoo Jin Woo (Hyun Bin) checking in at the Bonita hostel in Granada, Spain. 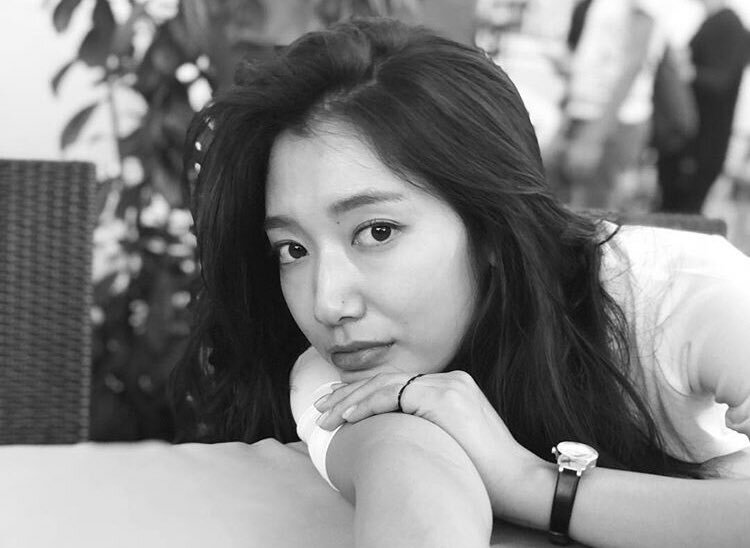 But in order to make money in any way possible, the hostel's young owner Jung Hee Joo (Park Shin Hye) puts Yoo Jin Woo in an unkept, attic room on the 6th floor of the hostel, forcing the man to climb up six roundabout flights of stairs with his heavy luggage. Later, Yoo Jin Woo hints at the true reason for his visit to the city of Granada, unveiling a magical blade in his hand and encountering unimaginable sights in the evening streets. Also starring EXO's Chanyeol as a key mystery figure named Jung Se Joo, Park Hoon, Kim Eui Sung, and more, 'Memories of the Alhambra' premieres on December 1 at 9 PM KST! Chanyeollie posted this yesterday, I wonder what does it mean? will Seju die in the drama? did they finish shooting? cuz I remember him saying on Nov 2, it was a long time since he shoot scenes? -- seriously is this a pre-produced drama or? Okay I guess Chanyeol answered my previous question haha, they're still filming for the drama!! He just said so on Baekhyun's Insta live that he's filming alhambra now. But his hair? idk if it's for EXO's comeback or Seju's hair gonna change when he enters the game!? even tho he said Seju can't have silver hair!? I had a speculation that he is the one who made the game in the drama cuz he's good with programming but idk I could be wrong! anyways, why this thread is so quite? not much left for the drama to air?!?!?! weird! With just one week left until its premiere, tvN’s upcoming drama “Memories of the Alhambra” has unveiled a brand-new preview! “Memories of the Alhambra” will premiere on December 1 at 9 p.m. KST. In the meantime, check out the new preview below! See you soon. First broadcast on 1 December. Cable channel tvN is set to kick off the new weekend series “Memories of the Alhambra” on Dec. 1, just a few days after the pilot episode of another high-profile drama series “Encounter” airs on the channel. The show starring Hyun Bin and Park Shin-hye revolves around the relationship between Yoo Jin-woo and Jung Hee-joo who cross paths with each other at an old hostel in Granada, Spain. Yoo visits the city on business and happens to stay at a hostel that Jung runs before the two get involved in a mysterious incident. Adding to the excitement is the impressive lineup with Hyun returning to the small screen after a three-year hiatus since he stared in “Hyde Jekyll, Me” in 2015. With the show taking the theme of augmented reality games, viewers got a glimpse into the impressive CG work that show has in store, including a glorious sword bestowed upon Yoo during a suspense-packed trailer unveiled Friday. In the short but memorable teaser, Yoo says, “Magic, I came all the way here to see this magic,” as his eyes turn blue, drumming up excitement for sci-fi and fantasy fans. The show appears to be in the hands of the right person as writer Song Jae-jung behind the show has written the script for another series “W” which also features a cross between reality and fantasy. The pilot episode of “Memories of the Alhambra” will air at 9 p.m. on Saturday.